Focusing on a computer screen from 9 to 5 can not only cause eye strain and pain called computer vision syndrome (CVS), it can also lead to tiredness and a sense of being alone. It’s been recommended that you change your focus between tasks to allow your eyes to re-adjust. By taking a walk, not only are you eliminating the chances of bad eye health, you are also getting some fresh air and doing some gentle exercise each day that contributes to your daily steps. Been needing to make a phone call to upgrade your mobile contract? Maybe you have needed to change your internet provider for months now…. get these tasks done at lunch time saving you more time that could be spent with family and friends in the evening. You’ll also be saving money if you make those changes. Have an hours lunch? Live near to your gym? Why not fit a quick workout in, they say a 30-45 minute intense workout is better than a steady 2 hour workout. You’ll save time in the evening, you’ll feel better for going and it’s normally quieter at the gym in the day so you can get on the machines you want to use. It may sound silly but, eat. There are many of us (I know I am guilty of it) who work through lunch, forgetting to even eat. Your day can be that busy sometimes that food doesn’t even cross your mind, however being extremely busy is even more the reason to be eating regularly. You will keep your energy levels up – maintaining energy leads to better outputs at work. It will also stop you from feeling lethargic. Have you got a work bestie? You can spend on average around 40 hours a week sitting near your work colleagues, albeit not even know what their husbands name is, or that they have a cat called Garfield. 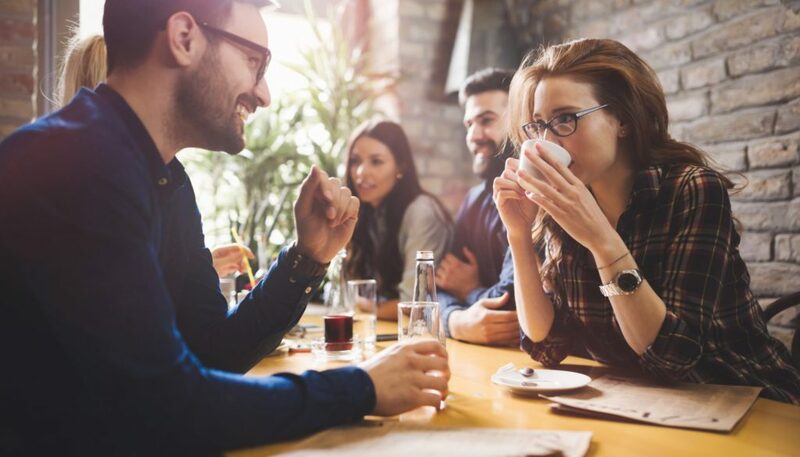 The average full-time worker will spend more time with their colleagues than their family or friends so why not take some time out to build and maintain good relationships. Head down to your canteen, order some delicious food and talk…get to know each other. It’s important to maintain a home and work life balance, with more awareness around mental health now, more than ever, it’s important to take care of your body, surround yourself with good people and learn how to deal with stress, The above pointers allow you to do this by making a small change to your day.